The most important part of your 3d printer is the hot end, and at times…the most frustrating! 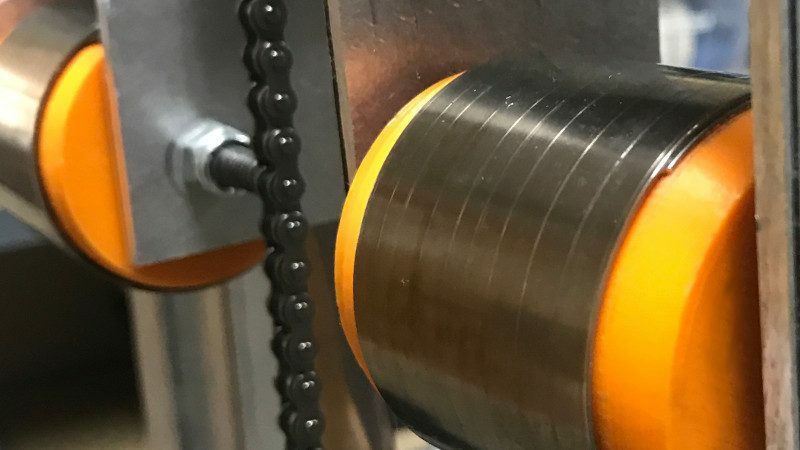 Rest assured that we have gone to great lengths to make the best hot end in the industry and that we have logged thousands of hours on these hot ends to test their durability. Also rest assured that once you get the hang of it, you should be able to just about completely remove the threat of a jam. With that said, this is still a new technology with its fair share of peculiarities. Before talking about the hot end itself, let’s talk about the main frustration in general…jams. 99% of the time jams are actually not caused by the hot end-they are caused instead by having the nozzle tip too close to the print surface. This causes an immense build up of pressure in the hot end that will cause the filament to strip on the hobbed bolt. Also, if you assembled a kit, double check that you inserted the 6mm spring between the extruder and hot end. There should be between 1/8″-1/4″ of compression when the two are mated. Lesson-make sure your z axis is adjusted to the correct height! 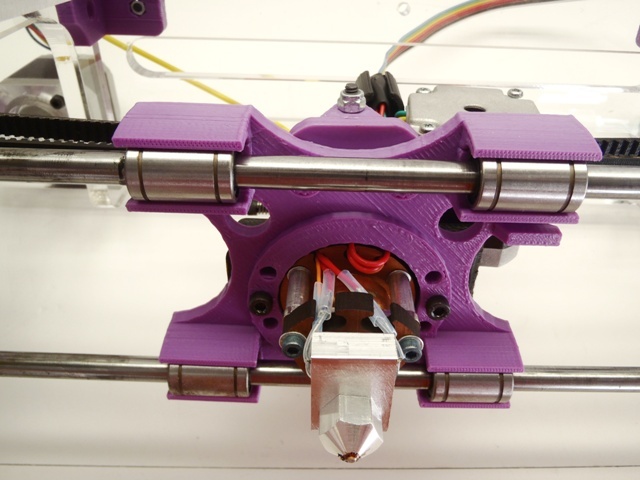 Fortunately, such jams can easily be fixed by either running the extruder (for about 50mm) while simultaneously pushing the filament through, or by removing the filament and cutting above the “mouse bite” such that the hobbed bolt has fresh filament to grip to. 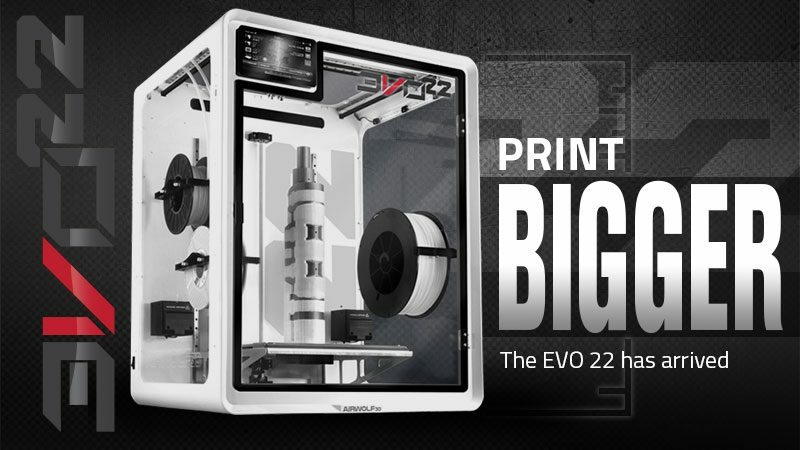 One easy way to avoid this is to specify the first layer height in Slic3r to “.4” mm. By doing this, you have more room for error on your first layer. To make it even easier, specify “250%” for first layer extrusion (in the advanced options in newer versions of Slic3r). That way, it is almost impossible not to gent enough material down for your first layer, even if the tip is substantially off the bed. In fact, theses are the first layer settings we are publishing in connection with our Make Challenge prints. 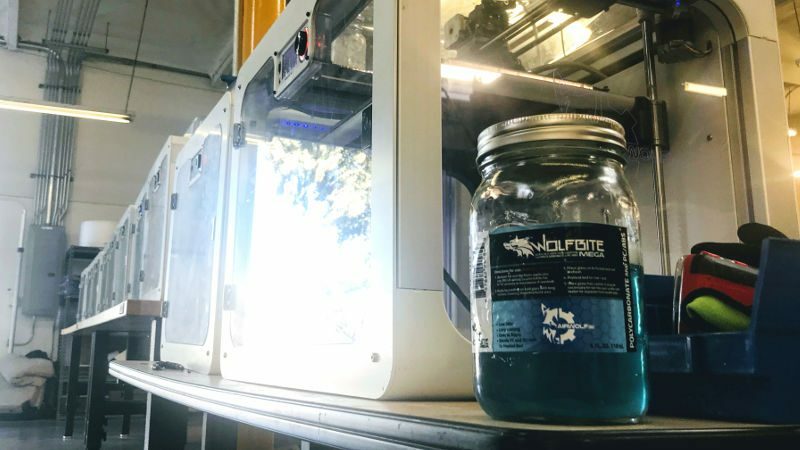 The Second tip is to make sure the temperature is correct…and let the hot end “soak” at temp for a minute or two before printing. Low temps will cause jamming every single time. Be careful that you slice your part BEFORE importing it into Pronterface as by default Pronterface will try and create gcode for imported STLs. By default, the Pronterface slice temperature is 200C (FAR too low for ABS). In other words, if Pronterface does the slicing for your, your hot end will jam with ABS. We run 260C for the first layer of ABS and 240C for each layer following which tends to promote good flow through the hot end. 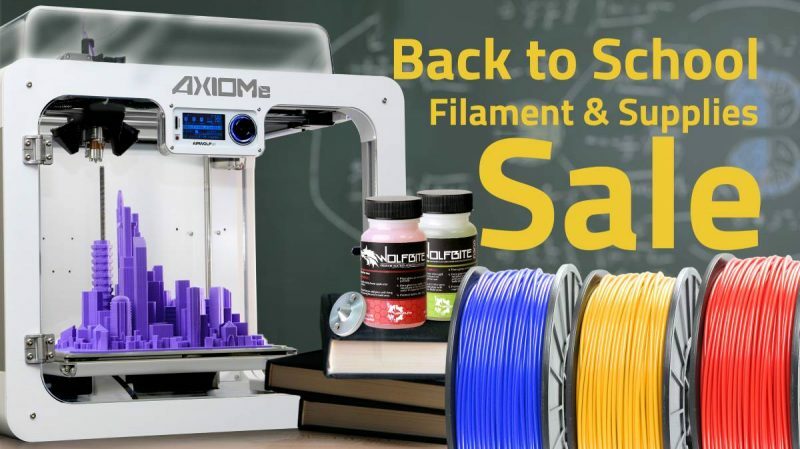 Caveat: Not all filament is the same! 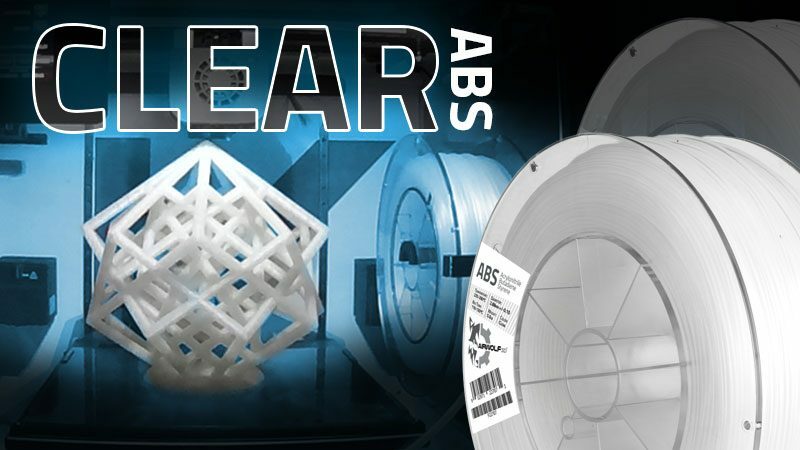 Every now and then we run across a roll of filament that has wacky material properties. If this happens to you, it may be necessary to run the extruder at higher temps (250C for example) to avoid temperature-related jamming. For ABS, quality is absolutely CRITICAL. 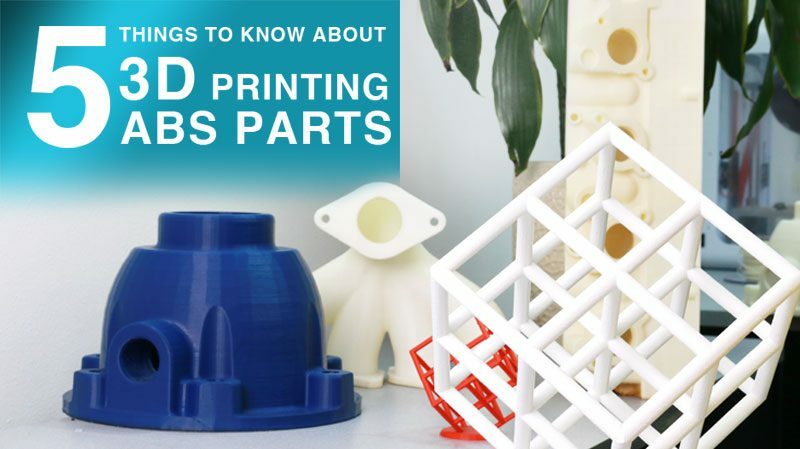 Buy ABS from reputable sources (such as Ultimachine and 3dprinterstuff) to ensure that you do not get bad filament. $10 more per roll is worth it to avoid the hassle and frustration, trust us! 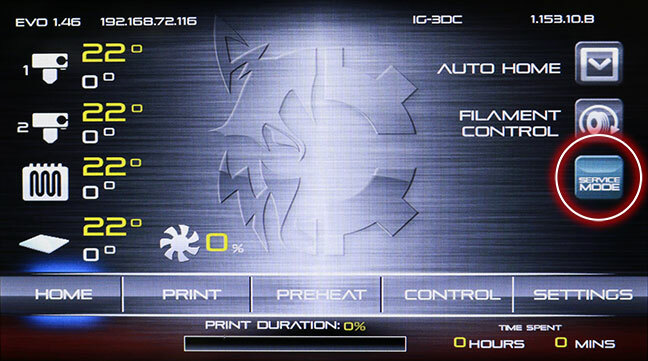 Also, keep in mind that the faster you extrude (print), the hotter the temp you will need. The is generally more applicable to PLA. Third, when you are extruding before the print (to test out feed), DO NOT exceed 100mm/min on Pronterface. Sometime the default is set for 300mm/min-this is WAY too fast and WILL cause jams in the extruder. Fourth, remember that the smaller the nozzle you go with , the more pressure in the hot end, and the SLOWER you must run the extruder. For this reason, we recommend STARTING with the .5mm nozzle-it is easy and forgiving. Besides, we make everything, including the gears with the .5mm nozzle. 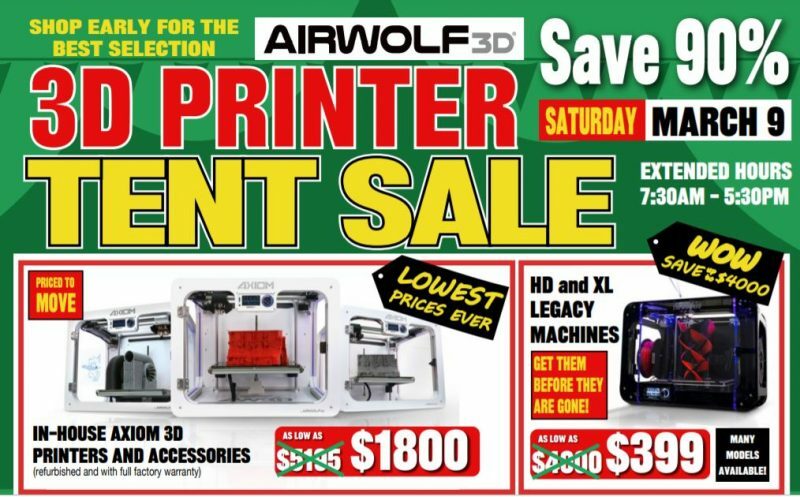 In short, it can print fast AND accurately. Fifth, make your that your nozzle is performing correctly (no burrs, etc.). With all the assembled machines we sell, we test them for about 10-15 hours before they go to the customer. This enables us to catch any issues before they are an issue to you! At times, there is some metal left over in the nozzle from the machining process. You will know right away if there is an issue with the nozzle because the extrusion will not flow straight down. Think of a water faucet – you want the filament to flow straight (within reason). If the filament curves, you probably have at least a temporary issue with the nozzle that is caused by a burr inside the tip. Fortunately, because we assemble the nozzle with high temp anti-seize, removal should be relatively easy-heat the nozzle to 160C, grab the peek insulator with needle-nose pliers, and loosen the nozzle with a 13mm wrench. If the nozzle does not want to loosen, try 200+C for removal only. Be VERY, VERY careful as the components are HOT! Also, always cool the hot end down before reassembly (apart hot, together cold). After removal, physically clean up the inside of the nozzle for burrs (soaking in acetone will help as well) and you should have perfect extrusion. A small (.5mm) drill bit from “CML Supply” will work great! 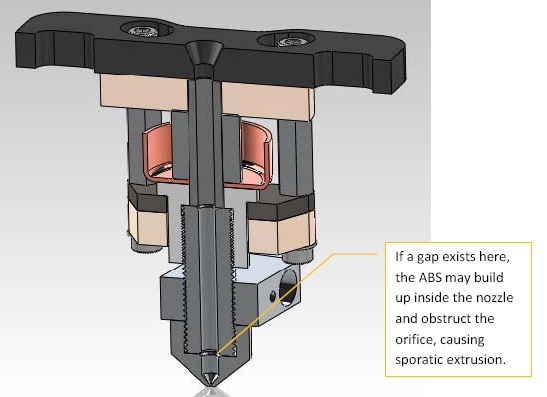 Finally, referring to the illustrations below, MAKE SURE to correctly reassemble the nozzle onto the threaded rod to prevent any gap-related issues. We use a high-temp anti-seize to prevent galling of the aluminum. When reassembling, use a small amount of anti-seize on the upper threads as the metal particles in the lubricant may clog the small .5mm nozzle opening. 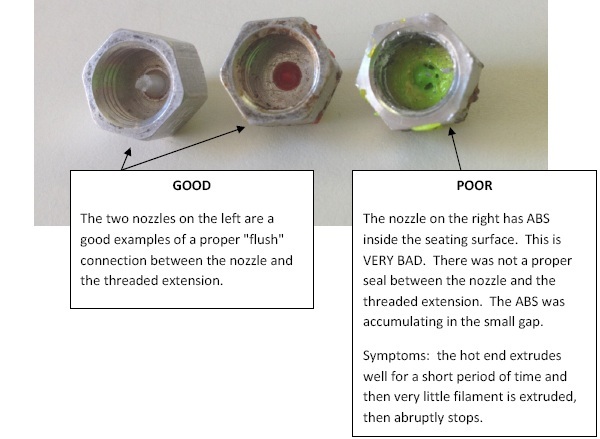 The photo below illustrates how the ABS can accumulate if the nozzle is not properly seated. Should you break a part, do not fret. The simple design of this hot end make it a snap to take apart and replace a part. 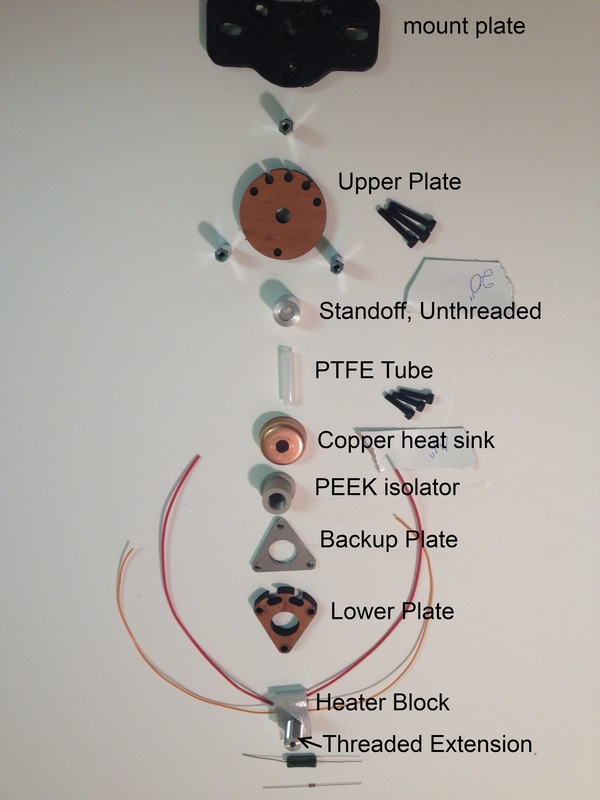 Below is a chart of identify the various parts of the hotend. All of these individual parts are readily available for sale and most cost less than $7 US dollars. Feel free to drop us an email if you need a replacement part.